I am very disappointed that they didn’t play Scrooge the musical this year. Thank you very much!! I will buy the DVD so I’m not disappointed next year.. When is Albert Finney in Scrooge going to be on? It is the best Scrooge movie because of the wonderful music! “Thank you very much” was nominated and/or won best song! Please put it on TCM soon! Best holiday films on AMC. Miracle on 34St., White Christmas etc but Home Alone 2 banned because Trump appearsfor 1 minute. I agree!! I love that movie!!! Yes it seems the last few years TMC and the rest of TV and cable channels have not had the 1970 scrooge movie on TV. So the past few years I have watched the movie on my computer. The movie has been up on you tube for many years now and is free. The link for it is below for you to watch. Is not being shown on Xmas lineup in 2018 december ! Thanks for those who shared tips on how to get a hold of a copy! TCM and other cable Networks ate the real Grinches ! Bah humbug !! I rarely watch TCM anymore. They just aren’t good anymore. I miss the old Classic Christmas movies. Also many of the regular classics are gone as well. It’s like they’ve lost what there name implies. One of my favorite movies, “It Happened on Fifth Avenue”! “It Happened on Fifth Avenue” is the movie I think you are describing. Thank you for the name of my favorite Christmas movie. I now own my own copy! It Happened on Fifth Avenue. TCM has already aired it this year. The Biahops Wife has been aired twice by them already. Ever since Robert Osborn passed away the Christmas movie selection hasn’t been goid. Last year they ran some of these movies 3 or 4 times. Been alot different sunce David Mancowicks took over. Right, like Robert Osborne was programming the films or had any say what they license. Um, not. Highly disappointed with TCM’s line-up of classic movies genre, especially the lack of the Christmas movies, all they seem to do is repeat the same ones over and over. With Mr. Robert Osborne’s passing, things have fallen apart at TCM. Watching less and less! Not that tcm or any other network cares about what viewers want to watch. It would be better if those complaining stopped watching their channels maybe then as the ones who ultimately pay their wages, the loss of revenue may make them take note. Why on earth is “Going my way” not on the movie list for Christmas does TCM not have a copy or the rights to the movie??? Why no Albert Finney Scrooge? Amazon, Netflix, other channels have bought up EXCLUSIVE rights to several of these movies. I bought ALL of the movies on DVD and play them when I wish. I had to buy “It’s a Wonderful Life” since NBC purchased the exclusive rights and one can only see it with a commercial interrupting every five minutes. I have been watching the past year to see one movie. I love Miklos Roza’s music and heard his El Cid and fell in love with that particular music. I really never saw the picture and have been watching for the past ear to see if it would show up on monthly schedules, but it has not. Hopefully it may play one day soon. I still look for it to show up on the monthly schedule. THEY DON”T Believe IN FAMILY OR CHRIST. Dean – stop with the caps. That’s just yelling. Save your breath. No one’s listening. Dean – enough with the caps. You’re just yelling and no one is listening. I printed out the Christmas movies for 2018 and there’s Holiday Inn on Dec.8 at 8:00 pm and Sunday Dec. 23 at 8:00 pm, Christmas in Connecticut Dec. 9, 8:15 am.and Dec. 22 at 10 pm., Holiday Inn Dec. 8, 8:00 pm and Dec. 23 at 6:00 pm, A Christmas Carol Dec. 23, 6:00 am (Scrooge) Dec. 23, 10 pm, and Dec. 24, 10 pm. about “Scrooge”/”AChristmas Carol.” There is a definite anti-Christian/Christmas bias on TV. Until this year, I used to watch every version of that movie, this year, only 3 so far, and no Charlie Brown Christmas. Recall in the early 70s, there was an anti-rural programming purge on the major networks that exists to this day. That’s a fact, even the leftist Wikipedia details it. I wonder if the lack of the past classic Christmas movies on tcm is a way to desensitize all of us to Christmas in general. Why does hallmark start showing Christmas movies in July? I now wish I hadn’t signed up for the backlot at tcm. The new direction since Robert Osborne is disappointing. As a loyal viewer of TCM for many years, I’ve lately been quite disappointed in the movie selections in general since Robert Osbourne’s passing. With hundreds of classic Christmas movies there isn’t a need for repeats in the short holiday day season. I’m streaming & recording more these days to compensate for this lack of poor selections. They offer dvds for sale but the majority of people don’t need to buy these when there are other less expensive ways to watch them. TCM needs to get back to their roots or they’ll ultimately lose viewers, unfortunately. So true!!! It is almost unbelievable that they would go in this direction! Absolutely true! What a disappointment this Christmas season was on TCM! Not only did they not play many of the much loved Xmas movies at all, but they replayed several so many times I have begun to dislike them! Why is TCM repeating movies so much?
. . . and Japanese films ! Each yr T.V. disappoints more. Why won’t the air White Christmas,and others. I miss the old traditional Christmas favs. Hi Christina, many of the older favorites – including White Christmas – will air on AMC this year. Yes, with umpteen commercials! Bring it back to commercial free TCM, please! They used to play “White Christmas” every December. Not on their playlist the past few years. Very Disappointing!! It’s my favorite holiday movie. NBC now owns the rights to this movie. So it’s commercials every 5 minutes. Are you not showing Scrooge with Albert Finney this year? TCM was the only channel showing it the past few years. Not this year? Soooo disappointing! The entire Christmas lineup this year is disappointing. I reread all the negative comments about the lack of Christmas films from 2017 on TCM, and the selection is worse this year. Holiday Affair twice in one week? Duplicates when so many movies are out there that you don’t even have represented. Scrooge, the musical with Albert Finney, The Bishop’s Wife… and no Christmas movies on Christmas Day/night. Too bad the movie “Its a Wonderful Life” has not been shown for years. Of course one can buy the DVD…which I did. That is a good Christmas show. “It’s a Wonderful Life” has been shown on NBC for several of the last Christmases, and it’s scheduled again for this year (2017).NBC has the exclusive right to air the show for a few more years. Can you post how NBC only have the rights to air Its a Wondeful Life. Do they air it more than once. NBC purchased the exclusive rights and usually airs it twice during the holiday season. NBC also owns the USA channel and for the last few years they have also aired it on this channel as well. “It’s a Wonderful Life” has been shown on NBC for several of the last years, and it’s scheduled again for this year (2017). NBC has the exclusive right to air the movie for a few more years. Why isnt tmc showing white christmas? Tell me Miss Christmas TV Admin…..Why do you show “White Christmas” and “Miracle on 34th Street” only a couple times & always late at night and early morning when people that work can’t stay up/be home?? Another station off my list now. Unfortunately we have no control over air times for any network. them on their TV channel? In that case, they are out of luck, because I can always buy the DVDs cheaper elsewhere and for less in shipping costs, too. TCM is working in conjunction with Amazon Prime, Hulu, Crackle and the others to make you pay for the once beautiful selection of Xmas movies. I am so outraged. I will not pay for those shows elsewhere. I will stream then if I can, or just do without. Everyone wants to cheat you out of your money. My internet company pays TCM and I feel their selection of movies are horrible. They once were the best thing going. Now , they are horrible. I agree with the comments about the quality of the movies that TCM is showing. No Holiday Inn, Going My Way aren’t being shown. There are so many classic movies that they just don’t show like Story of Doctor Wassail, King and I, etc. The memorable classics are being shown in the wee hours of the morning. Also, like a scratched record, they keep showing the same movies. Like many things in the world today, TCM is not what it used to be. Hi. I agree with all the comments on disappointing TCM holiday schedule! What I find amazing is that Halloween there are quite a number of movies shown for that time. Once again, TCM has scheduled a disappointing selection of Christmas movies for 2016. With so many first-rate holiday films from which to choose, why does TCM repeat the same handful of movies each year? And to compound this disappointing selection, why is it necessary to show the same movie twice during the holiday schedule? Do we really need to see “Holiday Affair,” “Meet Me in St. Louis” and “Christmas in Connecticut” THREE times each in December? Why isn’t “Holiday Inn” on the schedule? Or “Miracle on 34th Street”? Or “A Christmas Story”? What about “Elf” or some other, more modern Christmas movies? Surely, with a vault consisting of thousands of movies, TCM could make some better selections than what they’ve chosen this year. I’m a regular viewer of TCM who admires and appreciates the fine work done in preserving and presenting quality films in the interest of educating and entertaining its audience. But TCM could do so much better in its Christmas movie programming. I couldn’t agree with you more….it is so sad not to see these movies at christmas time…. Every year I look for the movie Scrooge with Albert Finney in it and for the past several years no one has shown it. When I saw that TCM was showing it I was thrilled, so I thank TCM for showing one of my favorite Christmas movies! I TOO MAY BE ADDED TO THE LIST OF VIEWERS THAT IS SO DISSAPOINTED ABOUT THE LACK OF CHRISTMAS SHOWS SHOWN(OR NOT SHOWN) FOR SEVERAL YEARS NOW. I HAVE BEEN WATCHING AND WAITING FOR “WERE NO ANGLES” AND MANY OTHERS. WHATS GOING ON AND WHO IS MAKING THE DECISIONS OF WHAT SHOULD BE SHOWN DURING DECEMBERS? In general, TCM has deteriorated immensely. The station that used to be the number one watched station in our household is now rarely viewed due the fact that many of the movies it considers “classic” are from the 1970’s through the 1990’s–and seem to be shown repeatedly. Movies from those decades can be viewed on any station on a regular basis. TCM stood above the fray–and apart from the aforementioned pedestrian stations–because in the past, it consistantly aired rarely seen movies and true classics from the pre-teens through the 50’s. Unfortunately , this is now the exception rather than the rule. In a prior post, a viewer opined/implied that the TCM Halloween fare was more than adequate. I strongly disagree. Such Boris Karloff classics as “Frankenstein”, ” The Mummy”, “The Bride of Frankenstein”, as well as a plethora of horror fare from the 30’s and 40’s were missing from the lineup. With regard to the holiday fare that is scheduled to be televised this year–I am in agreement with the general consensus that is demurred on this page. It is shameful that this station who WAS dedicated to showing classics has omitted “Holiday Inn”, “White Christmas”, varied versions of “A Christmas Carol/Scrooge” (30’s to 50’s) , “Miracle on 34th Street”, (40’s version) et al, from its holiday programming. Finally, what happened to the New Years Eve tradition of airing the Fred Astaire/Ginger Rogers musicals? To say that TCM has become a dismal disappointment would be an understatement. I also echo my extreme disappoint in the selection of “Classic” Christmas movies that will be shown. I looked forward to the 1947 version of Miracle on 34th St each year, Holiday Inn, White Christmas and where is the Bishops Wife with Carey Grant and Loretta Young!! Come on people……please bring back the old classics! Also there were Christmas movies like Silent Night, Lonely Night with Shirley Jones, The Christmas Wife which are NEVER shown….they were great movies as well. Not everyone wants to see “newer” movies. Let me add my voice to the many complaints by viewers of TCM who are upset by TCM’s disappointing Christmas movie schedule for 2015. TCM is one of the few bright spots in cable TV, and I’m an avid viewer and aficionado of their programming content. So it’s really a major letdown to see how poorly TCM has decided on which Christmas movies it will show this year. Why is A Christmas Carol from 1951, starring Alistair Sim and considered to be the best of all screen adaptations of Dickens’ novel, missing from the schedule? Where is Miracle on 34th Street? And why is Holiday Inn missing from the schedule? With such an embarrassment of quality Christmas films from which to choose, it’s difficult to understand TCM’s rationale in putting together such a disappointing choice of movies this holiday season. Fortunately, I’ve tape-recorded enough of my favorite Christmas movies to enjoy this Christmas without having to depend on TCM. That said, I applaud and commend TCM for all its outstanding work in preserving and promoting public awareness in appreciating the art of successful film-making. And I think that Robert Osborne and Ben Mankewicz are extraordinarily genial and knowledgeable hosts. But, in regard to this year’s Christmas movie schedule, I can only shake my head in bewildered disappointment. It also seems when they are showing my favorite Christmas Movies it when I’m at work or late at night or very early in the morning. This is NOT right it means a lot to me to see the old Christmas Movies this time of year! TMC should be very ashamed!!!! Extremely disappointed! Where is The Bishops Wife and Holiday Inn? TCM AND AMC both so disappointing this season. i looked forward to the old traditional movies to watch in the evening. That was a tradition for many, many years over the holidays…this year was absolutely terrible. Hoping next year will be a lot better. This is by far the worst showing of Christmas movies by TCM to date!!!! No Bishop’s Wife which they normally show repeatedly throughout December. I know Hallmark has shown it only twice this Christmas Season but they have shown Christmas In Connecticut every darn Thursday since Thanksgiving. I know the dialogue by heart. They have also shown Angel Of 5th Avenue several times but TCM has shown it as well. Normally if TCM let’s another channel take a movie they themselves don’t show it. But TCM has been showing the movies they let Hallmark have Holiday Affair is one of them and is not my favorite movie at all! But where is the Bishops Wife and why not show White Christmas??? Ok so you loaned it out to AMC. You can still show it once and Mircle on 34th Street. As far as Its A Wonderful Life goes, I just don’t get it. TMC bought the entire MGM library which should mean they own It’s A Wonderful Life. But there are just dozens of great old holiday shows to be shown and this skimpy showing of Holiday shows this year by TMC only leaves me to believe that it’s a Ted Turner liberal thing. TMC is a liberal own network. And the lack of holiday shows this year just shows it is getting more and more so. And NO, I don’t think they could care less what we think! This is the fewest holiday shows they have ever aired. Look else where folks! Hallmark is a good place to start as well as AMC!!! When TCM changed over in September I noticed immediately that things had changed….for the worst! Don’t blame the liberals~ They are just as concerned as you are! I used to have TCM on continually. Now I watch very little! I have watched TCM since it’s inception What a shame! Why didn’t they leave it alone.? Why is TCM showing the same movie multiple times? There are certain movies I look forward to every year and I watch them only on TCM and this year not one of them are showing. I’m rather disappointed. Once again TCM has a very poor showing of Christmas movies. On top of everything I have Time-Warner Cable and am disappointed in the way they show their TCM movies. I come from Comcast-land in Illinois and there seemed to be better showing of movies. Extremely disappointed in TCM not showing the old stand-by Christmas movies like “O’Henry’s Gift of the Magi” and “Come to the Stable” and the 1947 “Miracle on 34th Street” for the past 3 years. Shame on you Scrooges!!! I cannot believe that TCM does not show It’s A Wonderful LIfe during the Christmas season.. I don.t believe that NBC has a contract, so that other stations cannot show this wonderful movie. It was always shown before this political correction came in as Saying Happy Holidays. instead of Merry Christmas. Christmas is a Christian Holiday and I say Merry Christmas to those who celebrate Christmas and to those who don’t I say nothing. I agree with the above comments regarding your december lineup- it seems you are skipping many classics and I am wondering why! Please reconsider your line up this Month. We are so lucky to still have TCM, and I am sure that yall are doing your very best to bring as many of the old cherished Christmas movies to us as possible. Again, thank all of you for your effort! We appreciate all of you so much, and hope that you all have a wonderful Thanksgiving! Do not agree that TCM is doing their best to show Christmas movies. If they really cared about what their viewers wanted to watch they would ask what we want to see for the Holidays and revise their movies. Also, they are showing one Christmas movie a week until Christmas week. I say Humbug to TCM!!! The only Christmas movie that TCM is not showing is The Bishop’s Wife (Hallmark will be airing). But they are screening all their usuals – Holiday Affair, Scrooge, A Christmas Carol, Christmas in Connecticut, The Shop Around the Corner, etc.). AMC will screen White Christmas. TCM cannot show certain movies due to rights (It’s A Wonderful Life). I would like to know who chooses the film’s each month. They go crazy for horror movies in October for Halloween but skimp on Christmas in December. It would b e prudent for someone to read these comments to know what t h e viewers would like. I understood about It’s a Wonderful Life, but there are so many ore Xmas films t h st can show. Also disappointed in TMC, bring back the classic Christmas movies, there are families that would like to show these old greats to our grandchildren to pass on the memories and make more! you should be ashamed! Hi Berta, yes Dish has dropped TCM for the time being along with a few other channels due to contract disputes. We have Dish too and are really hoping they bring TCM back before the holidays. 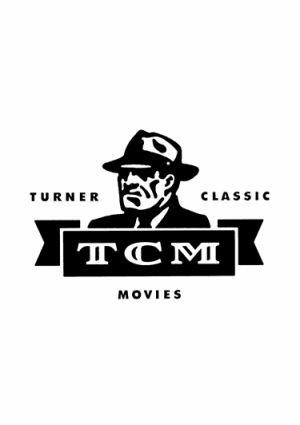 There is an app on the computer for TCM because that’s how I watch it on my ROKU with Chromecast. dish is not worth keeping if not. the holiday scheduling this year ! very favorite holiday shows !! Then I don’t know what is !! Hi Sherry, AMC usually airs White Christmas. Not yet sure who/if Holiday Inn will get air time this year. Very upset about the lack of Christmas movies from tcm. Your channel is the first one I check about the old movies. There is nothing like the old movies to bring so many memories of our childhood. There is still time, won’t you add them to your schedule? I like the Christmas movies that are about World War II. There are many that involve Christmas in them, too. The war movies are appearing less and less on tcm, too. Please reconsider. Thank-you for your time. Your Christmas movie schedule is very disappointing this year. What happened to the Bishop’s Wife and so many old classics? Shame on you TCM. You are alienating your good supporters. Colleen, A Christmas Carol 1938 will air early tomorrow morning (Dec. 20th 2013) at 1am ET. My family and I are very disappointed that you are not showing the classics as Miracle on Street , The Christmas Carol 1938. and so on, these are a tradition for us to watch together! Please consider showing these! Amc and TCm ,Why aren’t you showing the Christmas classics, The Christmas Carol, Miracle on 34th Street and so on, my family and I look forward to these shows every year,it’s tradition for us, where is your Christmas spirit? We are very,very,very, very……….disappointed We love the older classic Christmas movies! Im very upset about the lack of older Christmas movies this year, Holiday Inn, ect, also why is Emmett Otters Jug Band Christmas not being shown? Wondering why “Meet me in St. Louis” isnt being played on either Amc & Tcm. Kinda upset about not being able to watch it. Meet Me in St. Louis will be showing several times this season. Please check the schedule above for days/times. It is one of my Christmas traditions as well. Soooo disappointed in tcm’s lack of many of my treasured old Christmas favorites. No Miracle on 34th Street? Seriously? Is holiday inn coming on any channel? It’s just not Christmas without it! So disappointed that your Christmas schedule does not include Scrooge with Alastair Sims. Please reconsider showing this version. Thank you. So disappointed in the Christmas schedule for TMC. I am looking for a very old movie, which I have seen around Christmas time. All I can remember about it is that A woman which was a Joan of Arch understudy dies and this was in a coal minning town, In which a reporter (ED McMurry?) convincd the churches to ring for so many days constantly. If anyone has anyidea of this show name please let me know. Please let me know when you will air. The farmers daughter, its one of my favorites. Will it be near lorrettas birthday? Thank you s bigler…. I too have long been disappointed re the dearth of Christmas movies on TCM. If it weren’t for Hallmark, there would be few Christmas movies, and the Season would be bleak indeed. Many of the traditional Christmas movies are never shown. “The Gathering,” “A Hobo’s Christmas,” “The Man in the Santa Claus Suit,” “It Came Upon the Midnight Clear,” “The Night They Saved Christmas,” and many more have disappeared from TV. Especially tragic is the disappearance of the old black and white films like “Christmas Eve,” “Beyond Christmas,” and “A Christmas Carol.” I was overjoyed that AMC showed “Christmas Eve” this very morning. And thank God TCM finally showed “A Christmas Carol” (“Scrooge” in the US) last year and has condescended to air it once this year. I think this movie is the heart of Christmastime and without it Christmas is not the same. Alastair Sim, the great British actor, BECOMES Scrooge forever, so wonderful is his performance. I am very disappointed in Robert Osborne, whom I adore, that he dismissed this incomparable movie for so many years.Merry Christmas! Disappointed in TCM. No White Christmas, Holiday Inn, or Christmas in Connecticut. What happened to them this year?? I second that. I too am disappointed in the programming of TCM this Christmas season. It’s a good question — What did happen? Someone is not paying attention to the people who watch TCM. We like the tradional classics like Bishops Wife, Holiday Inn, White Christmas and Christmas in Connecticut. I’m with you Sharon! I am so disappointed in all the tv station programming schedule! Very few of the classics have been played and I for one have missed them! All these new “versions” don;’t have the same quality as the old reliable Christmas movies. @Athena, AMC is showing White Christmas 10 times btw Dec 13th and Dec 24th. TCM is showing Christmas in Connecticut once on Tuesday, Dec 24th at 8p. Christmas in Connecticut will be showing several times this season: Dec. 13, Dec. 18 and Dec. 24… Check local listings for times or the schedule above. Why doesn’t TCM show “It’s a Wonderful Life”? Margo – TCM does not air It’s a Wonderful Life because NBC has a long-term exclusive broadcast contract to show it. Because it’s an exclusive contract, other channels aren’t able to broadcast the film. I am not sure when the NBC contract runs out, but I imagine it won’t be any time soon.